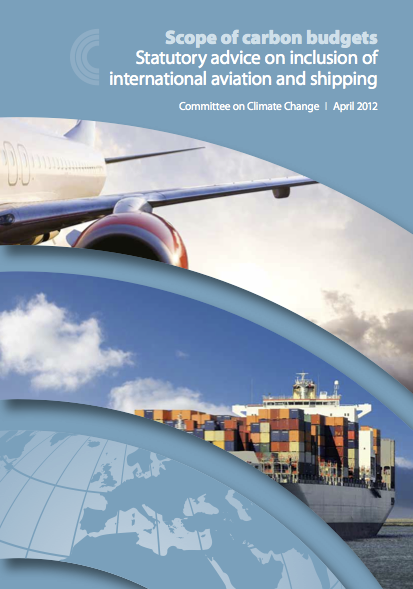 Our report concludes that international aviation and shipping emissions need to be formally included in carbon budgets. Emissions from these sectors were initially left out of carbon budgets (and the 2050 target) when the Climate Change Act became law. However, they have been informally included in the 2050 target, for example, as set out in the Government’s November 2011 Carbon Plan. Under the Act, a decision on the inclusion of IA&S is required by the end of 2012. Formal inclusion of these emissions will ensure a more transparent, comprehensive and flexible accounting framework under the Climate Change Act and provide more certainty for the future.